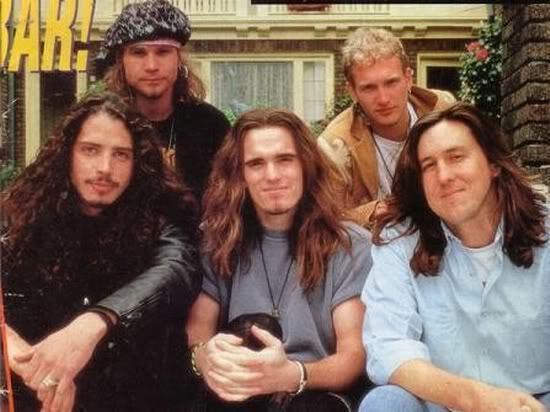 In the interest of full disclosure, I must admit to having a certain affinity for the 1990s. Having been born just before The Bears Super Bowl, the 1990s were my first full decade of life, and by extension, a period that had significant impact on my cultural consciousness. While the “Generation X” cut off is typically listed around 1981, personal love affairs with 90s independent cinema (i.e. Soderbergh, Linklater, Smith), an ever expanding appreciation of certain ‘indie rock’ (i.e. Pavement), and a fairly lazy and angst-ridden existence have always led me to feel a kindred spirit, of sorts. Or maybe it’s my addiction to plaid. Fußball wie noch nie: George Best and yet more pure cinema? Longtime reader(s?) of this blog will know that I have something of a soft spot for films that don’t really give much of a damn about plot or story. I may be the only person who seriously considers Le Mans (1971, D: Lee Katzin/Steve McQueen; see article on the film here) every time he tries to assemble a top ten list of films in his head. I am often drawn to films which illuminate action and motion and exteriority. Luckily for me, the Nightingale Theatre in Chicago programmed a film that could be said to be a spiritual cousin to Le Mans. This film is entitled Fußball wie noch nie (Football As Never Before) (1970, D: Hellmuth Costard). It was a privilege to see it, as no prints of the film exist in the USA, and the only way to see it is on a DVD from the Göthe Institute in Boston. 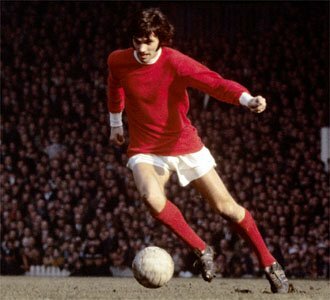 FWNN is a doumentary that centers on George Best (“In the role of a lifetime!”), winger for Manchester United. I had started to get the sense, sometime after seeing The Darjeeling Limited, that I was vaguely…worn out by Wes Anderson. The man who had been one of my favorite working filmmakers since I had seen Rushmore on a free HBO preview with my dad in high school was, I felt, maybe stuck in a rut. A quirky, some might say auteurist, rut, but a rut all the same. Now, I’m not suggesting some trite nonsense about artists having to “grow” or “mature”; it is more that the initial emotional highs I felt watching Wes Anderson movies was no longer present. Well, that’s not entirely true; they were present, but they were expected. 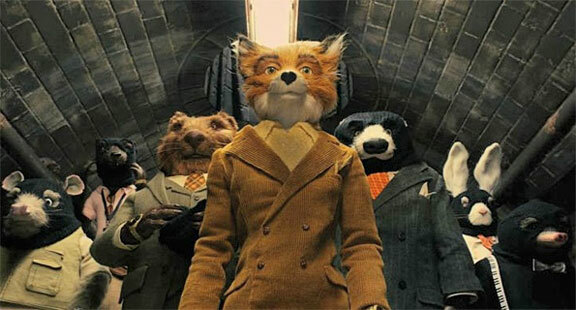 The experience of watching The Fantastic Mr. Fox, though, while a conflicted and confused one for me, shed some light on what it is that makes Wes Anderson Wes Anderson. This post was born on a Friday night when I declared a certain actor to be my favorite B-list actor currently working. A lot goes into this sort of decision. It’s not just a matter of judging on-screen performance. No, finding a favorite B-lister is more a matter of unquantifiable taste: an affinity for the bad movies he or she has appeared in, a formative childhood role, a body of credits that reads more like a list of punchlines, all of that je ne sais quoi. I made my choice for all those good reasons and cited his works. I was devastated, then, to be corrected – my actor had not appeared in most of the movies I had named. Impossible. Couldn’t be. But, of course, a brief flash of an iPhone prove it could be. It was. Half of the films in which I had identified this man had not featured him at all. It had been someone else, somehow. A fake, an impostor. I had confused my man with someone else, combining their collected screen appearances into what I thought was the greatest CV ever compiled by a second-tier actor. I was wrong. So wrong that I am determined now to make sure you never have to suffer the same embarrassment and heartbreak that I have suffered. Writers and filmmakers have long discussed the advances in film technology from the days of the Lumière brothers to the modern RED HD cameras with six gajillion-by-six-gamillion resolution capabilities. Most of these discussions focus on things like color saturation, lighting, resolution, depth of focus, and asepct ratio. However, we at Running Downhill, always striving to offer new insights into cinema history, would like to take the discussion in a different direction, and focus on technological improvements allowing for a more important artistic insight, namely, the sheen on sweaty heavy men. Thus, Running Downhill presents below ten of the most sweaty, fat performances in cinema history. Enjoy. There are probably about seven things in existence that could make two grown men giggle at the same time, and six of them involve crass humor or drugs. The seventh is Ponyo, (Ponyo of the Top of the Cliff), the latest effort from that crazy master of animation, Hiyao Miyazaki.